Citizens UK has agreed to be an Associate Sponsor of this year’s Greenbelt Festival, which takes place from Friday August 25th to Monday August 28th at Boughton House near Kettering. Greenbelt has been going for over 40 years. It is a Christian Festival, focussed on arts, faith and justice. It is an open and inclusive festival, so people come from all faiths and none. 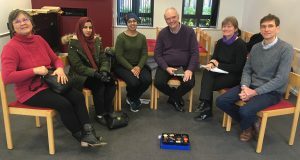 It aims to be an inclusive space for families to meet, learn, debate and socialise together in pursuit of the common good. There will be Catholic mass and a Muslim prayer tent. Many people involved in Citizens have also been part of the Greenbelt story. They’ve been speakers, campers, volunteers and festival-goers. Last year we ran a seminar about our work. This year we plan to do a lot more! 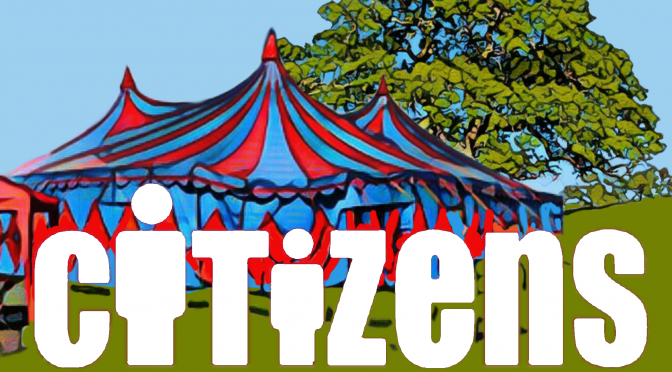 Citizens UK has negotiated 210 adult tickets at the reduced price of £100 each! Tickets for 18-25 year olds are already subsidised at £83; Youth and children are £50. There are also existing concessions for students, over 65’s and those on benefits. Day tickets are £30.00 each person. There will be roughly 20 reduced price tickets per chapter, so you will need to move fast! Please pass names and addresses to Tim Norwood or Tom Bulman as soon as possible. We need to know the names and email addresses of people from your chapter who want to go by April 16th. We can then issue discount codes directly to those people so they can book their tickets. If there are any places left after this, we may be able to offer more across the chapters. It would also be good to know is anyone is keen to help with the event tent. 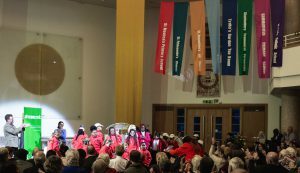 Greenbelt is a festival of arts, faith and justice. Greenbelt started way back in 1974 and has hosted its annual festival every single year since. But thinking of Greenbelt as just another ‘festival’ doesn’t do it justice. It is also an idea, a way of seeing, a gathering of the clans – part movement, part moment. Its genius is that it defies easy description. You have to be there. Christian worldview, Greenbelt creates a festival that is inclusive, open-minded, participatory and generous in spirit. Greenbelt believes that things often kept apart can and should be held together. Things like artistry and activism, spirituality and politics, faith and justice. It is a festival where these things belong together and where all are welcome.